WARSAW, Ind., Aug. 8, 2017 /PRNewswire-iReach/ — Nextremity Solutions, Inc., a strategic commercialization organization with a focus on the musculoskeletal space, located in “The Orthopedic Capital of the World” Warsaw, IN, has announced the limited release of its newest product, the PiroVueTM Gastrocnemius Recession System for the treatment of equinus deformities in patients. 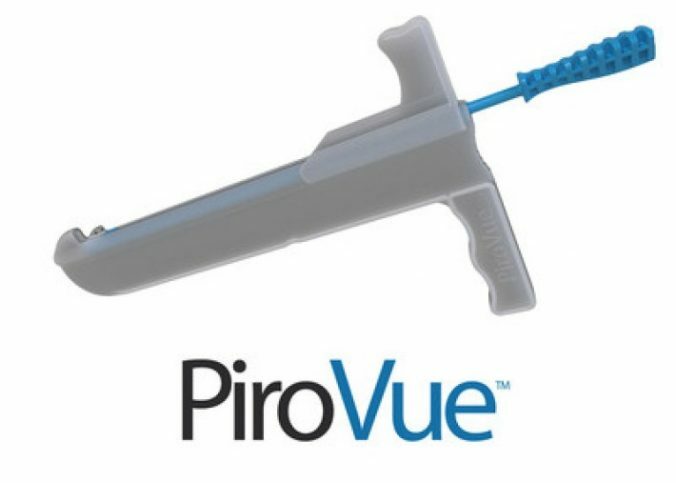 PiroVue is a disposable, single use, sterile packed instrument kit for gastrocnemius recession. It consists of an integrated cutting guide and retractor with a controlled recession knife. “We’re excited about the launch of PiroVue, a solution born from the frustration and ingenuity of our surgeons. Our surgeons are passionate about this gastrocnemius recession procedure and the resulting benefits they’ve seen in their patients. This disposable, efficient, and cost-effective solution for gastrocnemius and soleus recession will potentially result in less muscle atrophy and weakness, as well as early weight bearing, relatively shorter periods of cast immobilization, while reducing risks to the sural nerve. Our hope is that PiroVue will allow for continued adoption and growth of this surgical procedure.” commented Ryan S. Schlotterback, Chief Commercialization Officer for Nextremity Solutions, Inc. The patent-pending PiroVue Gastrocnemius Recession System will utilize a limited launch with key surgeons prior to a full commercial launch in Q1 2018. For more information or to schedule a demonstration of the PiroVue Gastrocnemius Recession System, please visit http://www.nextremity.com/pirovue. Nextremity Solutions, Inc. is a privately held strategic commercialization organization with a focus on the musculoskeletal space, offering innovative solutions and Revenue Ready™ products for various musculoskeletal applications and for the benefit of our industry partners. The Company’s procedure-ready, sterile implant systems include uniquely precise, proprietary technology designed to achieve repeatable and superior clinical outcomes. For further information, visit www.nextremitysolutions.com or call Dave Temple, Director of Marketing & Corporate Communications at 574-635-3022.